Flannels is one of the UK’s leading luxury retailers, specialising in contemporary men’s and women’s designer clothing, footwear and accessories, with a number of stores throughout the UK. The cool, spacious and minimal interiors of the stores allow each carefully selected brand to have their own identity, reflecting the company’s philosophy of the importance of individualism and attention to detail. With a brand portfolio including Gucci, Dolce & Gabbana, Moncler, Jimmy Choo, Stone Island and Kenzo, Flannels has grown rapidly with stores opening in leading UK cities including Manchester, Liverpool, Leeds, Birmingham, Nottingham and Cardiff and soon, London. The Hip Store was established in 1987 stocking exclusive and desirable brands from across the globe. The Hip Store is one of the UK’s leading independent fashion stores, catering for a wide range of customer, both culturally and diverse. 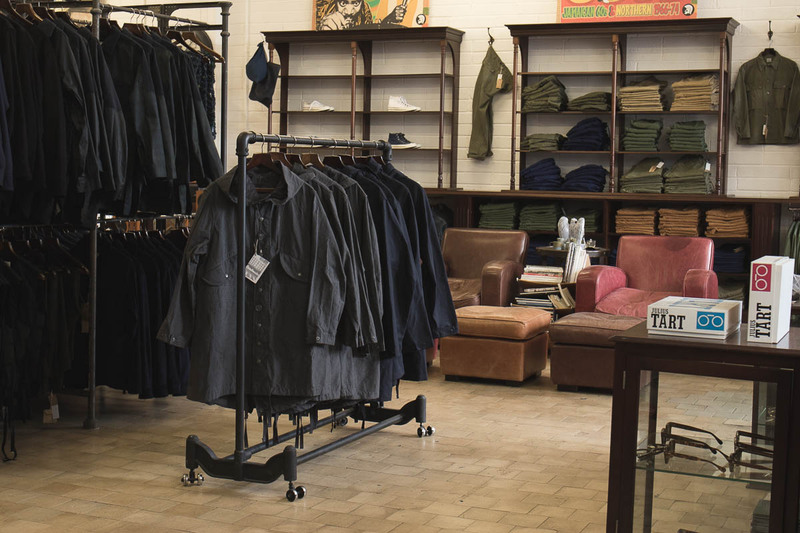 The menswear store has been a major part of the development of Leeds fashion scene over the past 25 years stocking emerging brands from all over the world such as Adidas, Barbour, Fred Perry, Norse Projects, Ralph Lauren and much more. 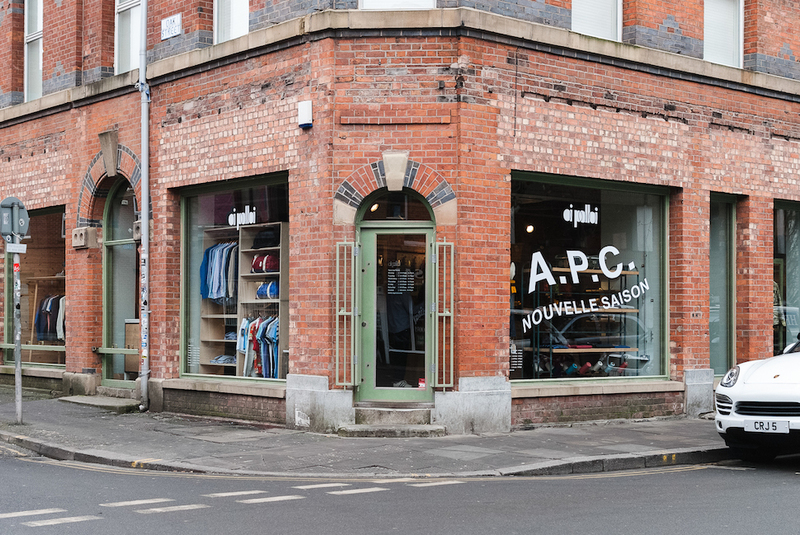 Oi Polloi has become something of a fashion institution in the UK, and not just in Manchester. Oi Polloi is a men’s outfitter’s stocks heritage brands with an urban edge: parkas by Penfield or Harringtons from Baracuta as an example. Oi Polloi the has been going strong since 2002 and has expanded to a second store in Carnaby Street in London. The store has British and global brands stocked: sleek tailored coats and jackets from APC and Engineered Garments; a selection of bags and Gore-Tex coats from Japan’s Nanamica. All in all, it’s the sort of store that any fashion conscious men should visit. For a city of its size, Birmingham does lack quality independent fashion stores but Autograph serves almost as an oasis amid a city full of large chain stores. Autograph is an innovative and established concept menswear store, proud of their unique personal service and forward-thinking knowledge. 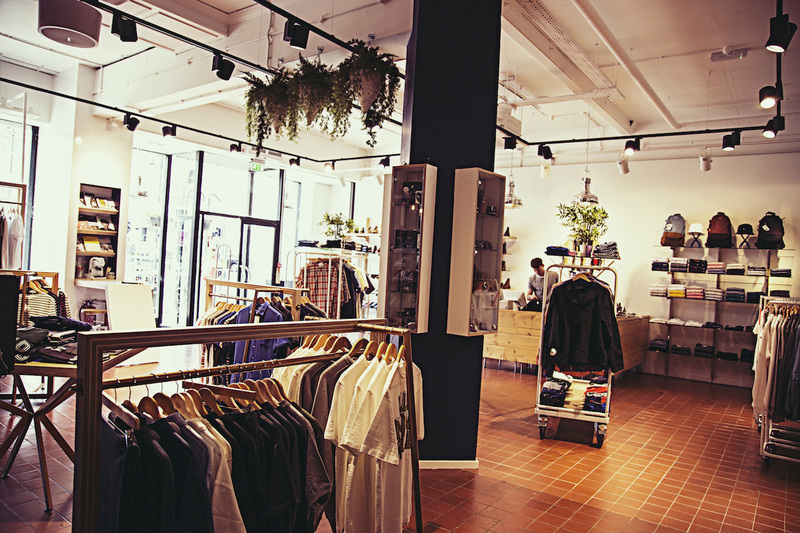 The clothes store is known around the Midlands as somewhere you can get fitted out with a super-stylish outfit, from big-name designer brands such as Paul Smith, Vivienne Westwood to contemporary brands such as APC and Neil Barrett. Xile was founded in 1984, selling top-end American denim brands. Since then the company has firmly established itself as the premium Scottish fashion retailer with a unique mix of established designers and up and coming labels. Xile’s cutting edge fashion boutique is famous for its eclectic mix of top brands and lesser-known independent labels (Aquascutum, Edwin, Y-3, YMC). Make sure to visit their stores in Edinburgh, Glasgow and Livingston. 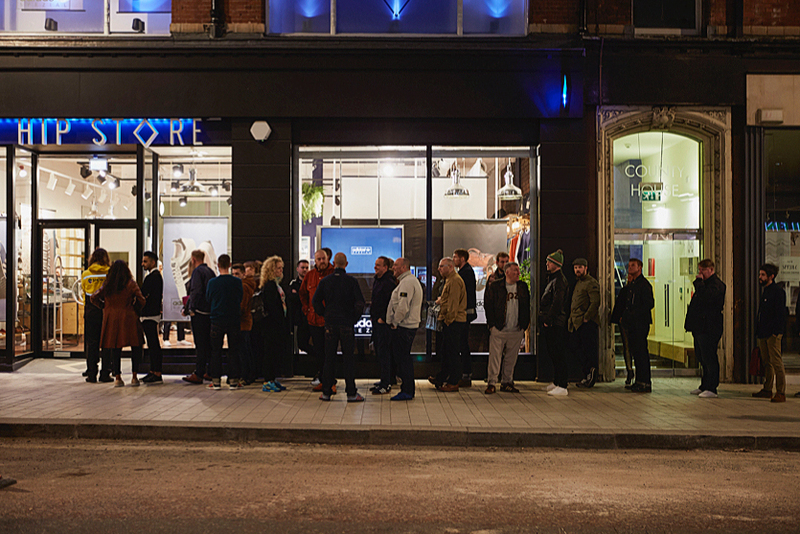 Present London is a concept store like no other. Based in the bustling area of Shoreditch, it has a refined selection of menswear that comprises of jackets, trendy footwear, underwear and knitwear. With designers like Albam, C.O.F, Maharishi, Masterpiece, Hartford and a huge range of high-end grooming products and books, and magazines from Japan we highly recommend stopping by if you’re in the East End of London. 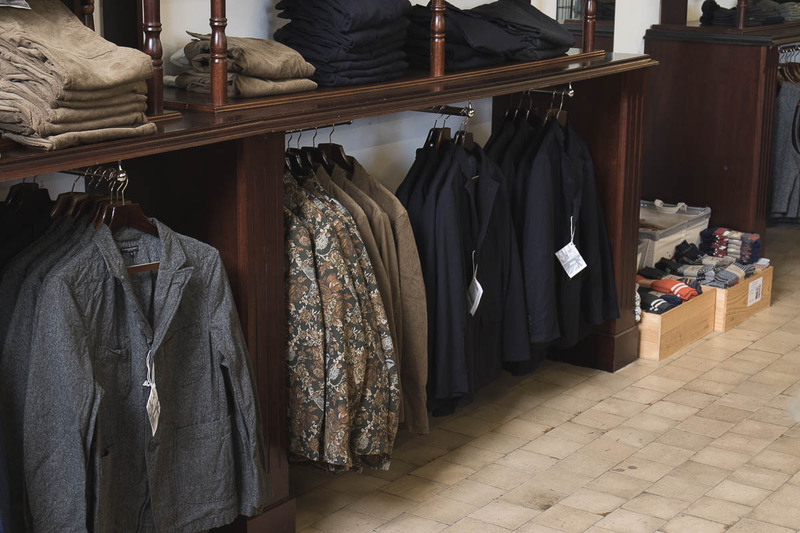 One of the best – if not the best in Ireland, carrying a fantastic selection of menswear and accessories, all with history and heritage. The Bureau speaks to classic gentlemen who quest for long-lasting clothes that provide them with a timeless style. Thus the brand-repertoire includes Barbour, Engineered Garments, Woolrich Woolen Mills, New Balance, Nigel Cabourn, Nanamica, Stone Island Shadow. And with that, we hope you enjoyed reading about these stores, and we certainly hope that you get the chance to visit them one day, who knows, you might find a new favourite brand to add to your collection.